The President’s Office and Academic Senate have partnered together to honor outstanding students for excellence in the classroom, campus community, or in their personal lives. 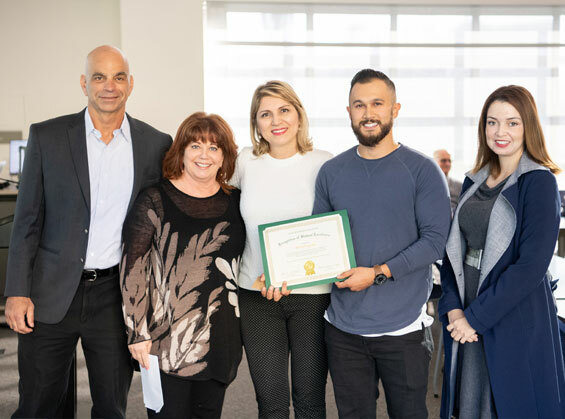 Kevin was nominated by Mathematics instructor, Maryam Khakbazan and English instructor, Cristina Acevedo and was honored at the Planning and Budget meeting on December 12, 2018 by Academic Senate President, Martie Ramm Engle, and GWC Vice President of Instruction, Albert Gasparian. “Kevin is a hard-working and disciplined student who has an A in my class all A’s and B’s in his other classes. Kevin has shared the following information about himself with me.